Check out this calendar of activity ideas for kids, centered around reading from Reading is Fundamental – February 2019. And click here for the same calendar in Spanish! Our friend Erik came by recently with a box and an IKEA bag full of books for the LFL. Thanks, Erik! I also got a few other books from a clothing swap I went to the other day. Thanks, swappers! Classics, novels, non-fiction and a cute Christmas story, cooking, more cooking, LGBT short stories, Eragon series, and a variety of short story collections. I’ll be putting these out in the library as there’s room. If you’re super-interested in one or more, leave a comment and I can set it aside for you – if it’s still available! For the second time this year, Portland is experiencing SNOWMAGEDDON! 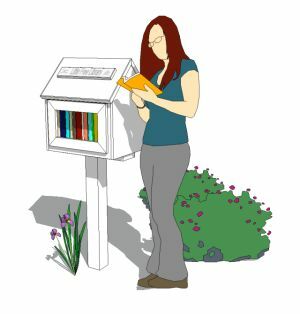 Do not fear – Division92 Little Free Library has you covered! Go for a short walk, enjoy the snow, catch some flakes on your tongue, make a snowball or two, look for wildlife tracks – and stop by to find a new-to-you book. Get home, build yourself a little nest, make a lovely warm beverage of your choice, and snuggle in for the rest of the snow storm! Sorry to be posting this a bit late in the day, but folks! That snow ain’t going anywhere! It’s only gotten heavier since daybreak! I’ll be putting more books out shortly! Multnomah County Libraries host a variety of children’s storytimes across their neighborhood libraries. They typically include stories read aloud, singing/fingerplays, and sometimes a craft or other activity. You can find storytimes for babies, toddlers, preschoolers, kids with sensory challenges (kids who have a hard time with noises or textures or proximity to others, or kids who need to be movingmovingmoving all the time, etc). You can also find storytimes presented in English, Spanish, Mandarin, Vietnamese, and Russian. Most storytimes are presented regularly – weekly, monthly, or whatever. Check the website or with your library for the schedules. I want to do more reading, and I want to do more socializing. But Book Club is too haaard! I don’t have time to read a whooole book! Talking about books for two hours is boooring! Let’s read a short story then watch a movie based on it instead! Read the story ahead of time. Then come over and hang out with us. I’ll have something dinner-like available. Feel free to bring food/drink to share as well, if you like. The emphasis was on the social aspect – the short story and movie give us a reason to get together and stuff to talk about. 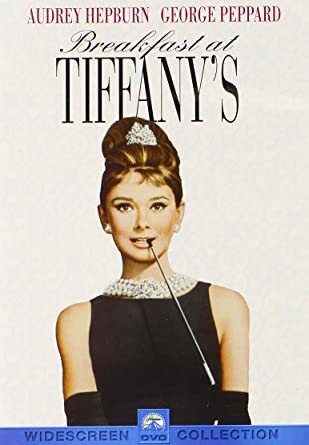 This month’s story & movie was Breakfast at Tiffany’s. While I’d seen parts of the movie, I’d never read the story. 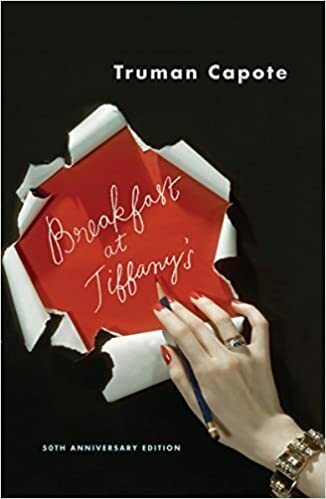 In fact, I’ve never read any Truman Capote before this. I got the four-story collection from the library and read it all. While the writing it good, I can’t say I’m dying to read more of it. Maybe it’s a matter of cultural shifts and no-longer-relevant references. It was hard to get past the overt racism of several characters. I may try to read “In Cold Blood” just because. No one else in the group had watched the movie before, so we’re all watching it several decades after it was made. Again, lots of no-longer-relevant cultural references, lots of cultural shifts. We were all properly horrified by Mickey Rooney’s character, found everyone else in the movie pretty much unsympathetic, pondered whether Marilyn Monroe (Truman Capote’s choice for the lead) would have been a better choice than Audrey Hepburn, wondered why Hannibal Smith was in this movie without the rest of the A-Team, were glad to have seen it for the overall cultural reference, loved pretty much all of Audrey Hepburn’s clothing, and we thought Cat was easily the best actor. We had a great time talking about the differences between the story and the movie, and which movies and stories these reminded us of. Also: what genre is this movie? Definitely not a romance. Redemption? Drama? Screwball drama? Dinner was chicken enchiladas (per “chicken and sauce” in the movie) and margaritas (just because). And of course, I’ve had this song stuck in my head for two weeks straight. The next Short Story and Movie night is already scheduled! Well, this is an interesting set of short stories! And of course, I find this right after the magazine has announced it is shutting down. I wonder how long the website and short stories will stay up. Nice to meet you, Tin House, and sorry to see you go already. Some books I’ve recently read: The Kitchen Edition! 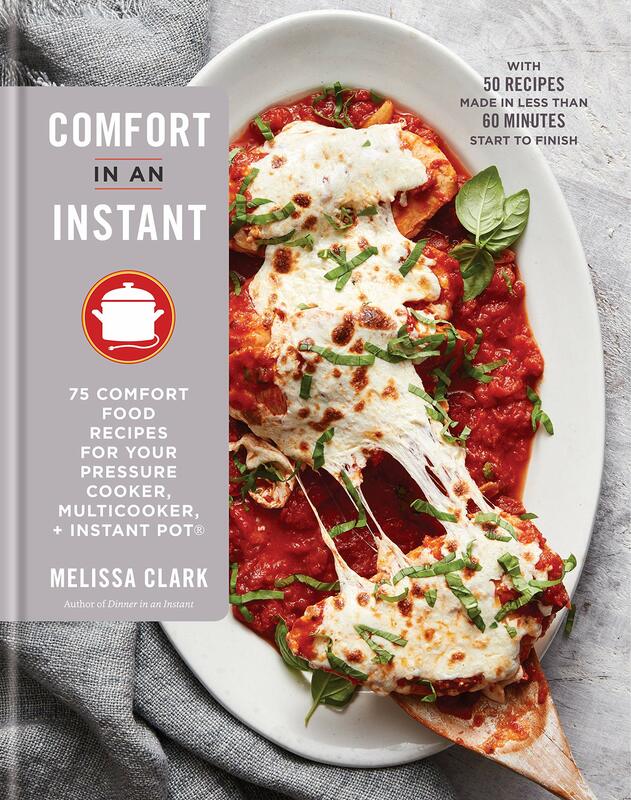 Comfort in an Instant, by Melissa Clark. “75 comfort food recipes for your pressure cooker, multicooker, + instant pot” There is some great advice on getting the most out of your pressure cooker/Instant Pot, especially for those of us who didn’t grow up with a pressure cooker in the house. If you’re determined to use your Instant Pot for as many things as possible, or you have a hard time coming up with ideas on your own for dinner, or you absolutely need recipes for cooking, this might be the book for you. If you’ve got any real fundamental idea about how most foods should be cooked in order to get the right flavors and textures from them, I’m not sure you’d want this book. I have yet to have anyone convince me that spaghetti and meatballs should be made in a Crockpot or an Instant Pot. The tomato sauce, perhaps. But the meatballs? The noodles? Seriously? Also, there’s nearly no reason to make oatmeal in a slow cooker, other than to free up a burner on your stove. Oh sure, it can cook overnight, hands-off. I’ve tried it. My Crockpot has hot spots – just like yours, I guarantee it. And unless you like watery oatmeal, it cooks up thick enough you’ll find out where your Crockpot’s hot spots are too. Just because you *can* make a dish in a Crockpot or Instant Pot doesn’t mean you *should*. 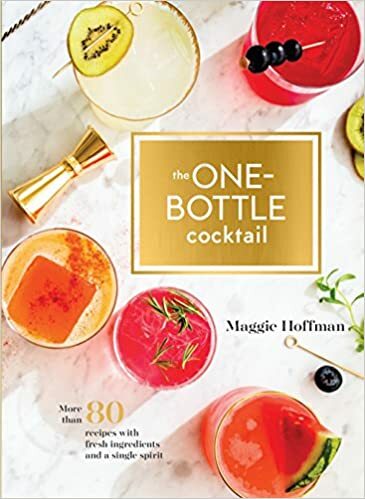 The One-Bottle Cocktail, by Maggie Hoffman. This one was a lot more interesting. Tons of cocktail recipes involving only one main alcohol – no Long Island Iced Teas in here. On the other hand, Hoffman shares recipes with some really interesting ingredient lists – fruits and herbs and bitters you may not have had before or even seen anywhere else. “One-Bottle” cocktails are not necessarily simple or boring – most of the drinks in this book have complex if not elaborate flavors. The photography is stunning too – the book is worth reading for the drink photos alone.